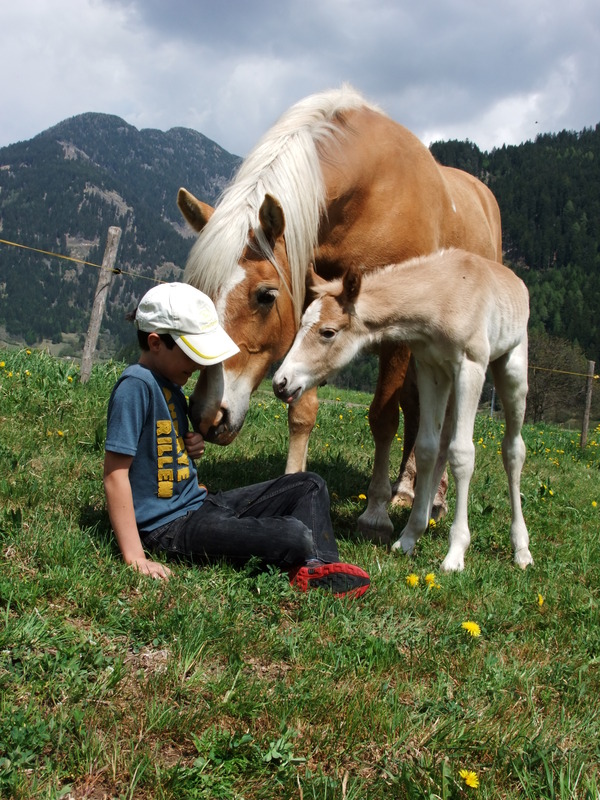 We would like to teach our guests about the reality of rural mountain life in a setting that has always been linked to the rhythm of nature, to customs and above all to the thousand-year-old history of these fantastic places. 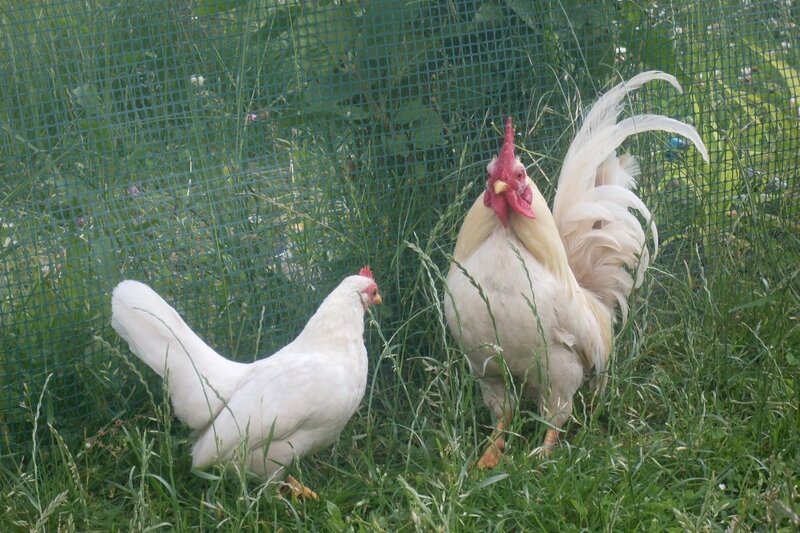 On our farm, the hens scratch about, our pale-coloured horses gallop freely in the meadows and the cows graze in the flowery grass until their hearts’ content. In our work, we try to combine the knowledge passed down from our ancestors with modern farming techniques, focusing first and foremost on respect for our animals. Just imagine, our cows have names and are regularly brushed! We have a herd of red and white spotted cattle (Simmenthal) that includes dairy cows, calves and heifers. 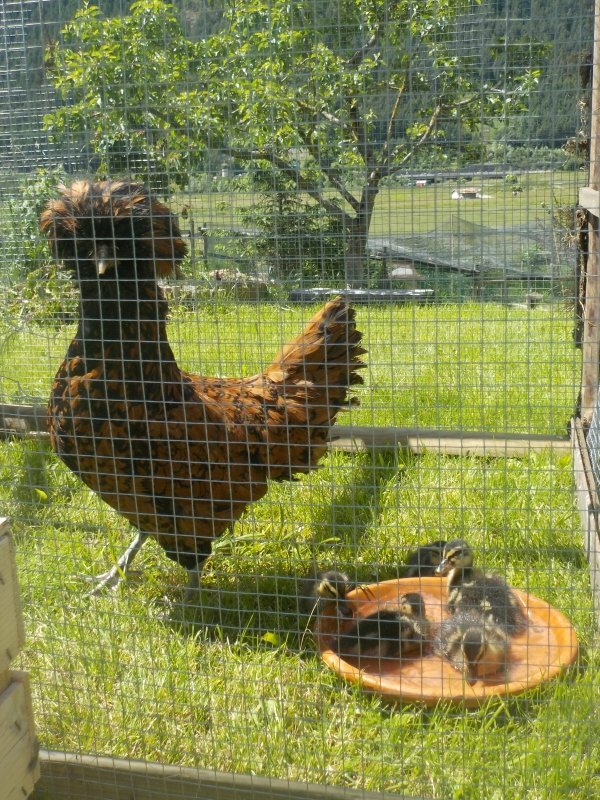 We chose this breed because they are mountain animals therefore very rustic and reared for their versatility, meat and milk. Our dairy cows are not forced, in the sense that they are fed on fodder we produce ourselves, such as hay and alfalfa, with the only addition of corn and barley flour. For some years now, the calves have only drunk milk from the cows and are not fed on powdered milk. Insemination of the cows is scheduled in such a way that they are able to go to the mountains during the summer, their dry period (two months before the birth). The majority of our pregnant cattle give birth between the mid-August and the beginning of November. The few that remain in the stalls during the summer months also have the opportunity to graze in the meadows that surround the farm. For three years now we have been using a raw milk distributor near the Predazzo Coop and we produce High Quality certified milk. Since 2008, we have been providing milk for mass distribution by Coop through our consortium. All this serves to demonstrate the excellence of our milk. 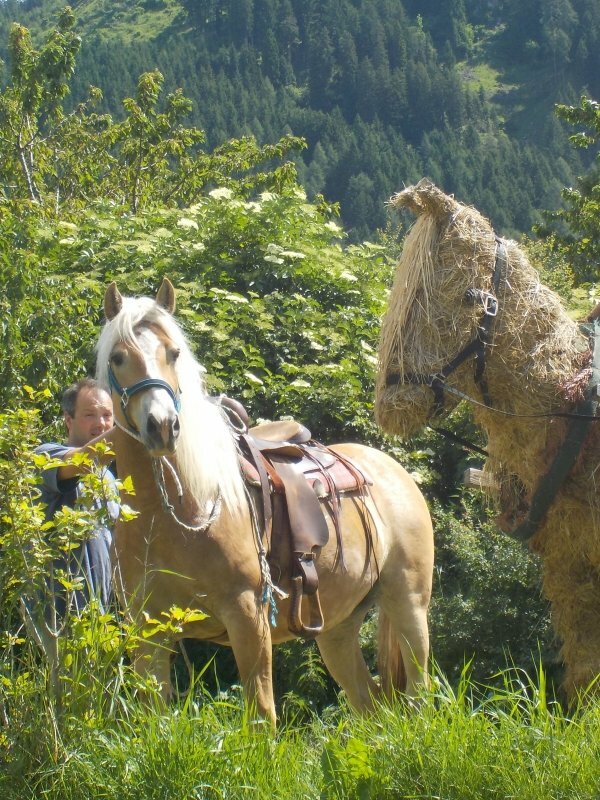 We also have a herd of Haflinger horses. 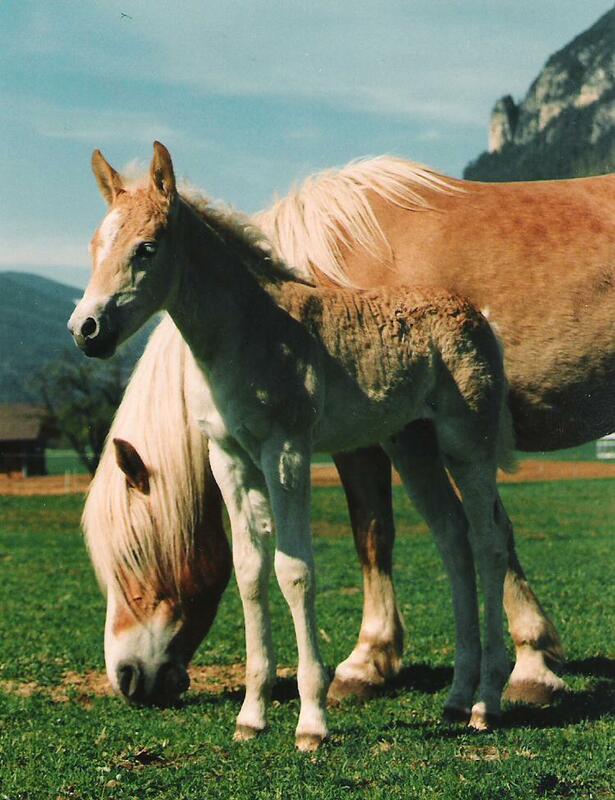 These pale-coloured, straightforward Haflinger are born in the spring in the meadows beneath the house and grow up free, socialising in the herd. Perhaps you’ll find a loyal companion among them to take home as a souvenir of these wonderful places! You can also pet our goats, see our hens and we have cats and dogs too, of course!